Are wedding bells in your and your partner’s future? Thanks to societal norms, your engagement isn’t sealed just yet until you present your partner with an engagement ring. However, everyone has their own preferences, and if your partner is the type who prefers sentiment over price when receiving gifts from you, an expensive ring just seems unnecessary. Having bought a ring for my own partner recently, I did some research for ways to make an engagement ring more meaningful which did not involve adding more gemstones. Having been with my girlfriend for over seven years, I know she’s the type who would appreciate the personal value of a gift, and not its actual price tag. This was good for me because I couldn’t afford to do the “three months of your salary” rule and didn’t have to spend on an impressive diamond. However, that meant I had to think of something sentimental and meaningful. My mother never married and my grandmother was buried with her rings, so an inherited ring was out of the question. I wanted it to be a ring that, when she looked at it years from now, she saw what our relationship meant in the past and for the rest of our future. And then I discovered plain engraved rings. I decided to go to Etsy and look at different rings. I originally thought engraving was limited to a person’s name or a meaningful date, but then I found sellers that did more than just that. They were actually engraving memorable lines from books, films, TV shows, music, and even scripture from the Bible. I wasn’t aware it was possible, but I felt that was a great way to customize your ring. Instead of a name or date that is traditionally engraved, go for an engraving that’s most meaningful to your partner or both of you. If both of you are religious, opt for engraving a Bible verse related to engagements – consider 1 Corinthians 13:4-8 or Philippians 1:3. If it’s a short Bible verse, you can even have the actual verse engraved. If it’s as short as 1 Corinthians 16:14 (“Do everything in love.”), it can probably fit onto a ring. My girlfriend is a Harry Potter fan, so I ended up buying a ring that said “Always,” after the iconic line of Severus Snape when describing his love for the only woman he cared about. A lot of ring sellers on Etsy and other online and physical stores allow engravings made to order, so you have the option to choose. If you and your partner are into certain fandoms, get a popular line from it. It doesn’t even have to be dialogue from your fandom. In the movie, John Wick, John Wick sports a back tattoo of a Latin phrase which translates to “Fortune will save the brave.” Its Latin would look great on a ring and it gives the wearing the message to stay brave and strong no matter the odds. This Latin phrase, “Fortis Fortuna Adiuvat” is actually one of the mottos of the United States Marine Corps, so if your partner serves in the Marines, this phrase would be a good option. You can find other significant Latin phrases that would be appropriate for an engagement ring online. Or, fandoms and Latin phrases aside, it can simply be an inside joke between you and your partner. Think of something you and your partner often say that, when someone else reads it, they wouldn’t understand the context. It’s a sweet gesture that shows you notice the little things about your relationship, and it’s sure to put a smile on your partner’s face when they look back. If your partner favors sentimental value over any ordinary rock or gem and does not care about the price of their engagement ring, it will be worth it. There may be a few people out there who prefer engraved engagement rings over your typical ring. In terms of durability, a plain engraved engagement ring can last a lifetime – but only if you use the right material. Between gold and silver, silver is the more affordable luxury metal. If you’re thinking about durability, however, you can’t just buy any kind of silver. 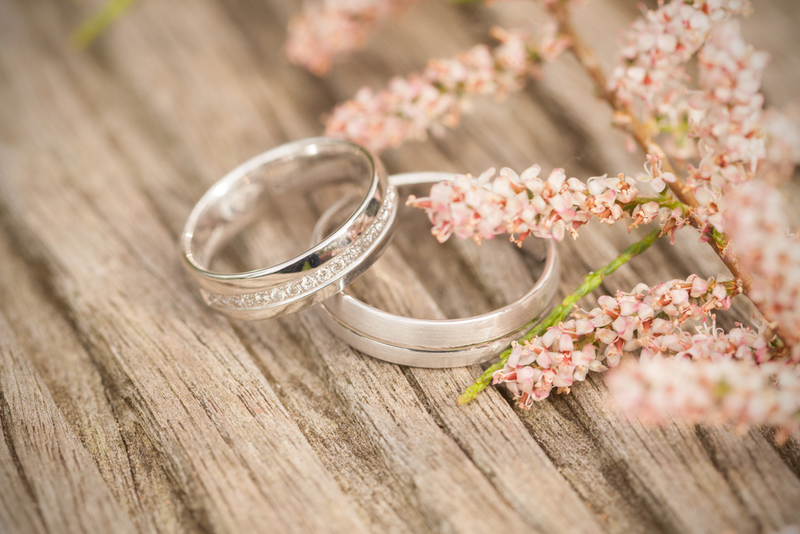 Silver-plated rings are ordinary metals coated in silver, and the tarnish from the inside from lower-quality metals will chip the silver outside and cause it to rust. Sterling silver, however, can practically last forever. Made with 92.5 percent silver, it has enough silver compounds to last forever and enough of other residue metals to retain its shape and luster. Its classic look, versatile and hypoallergenic properties means that the ring you buy can be passed down to your children. Sterling silver, however, isn’t cheap. And if you’re going to buy one, make sure your seller can verify the silver’s authenticity. According to jewelers in Salt Lake City, working with gemologists and specialists in the luxury jewelry industry improves their store’s credibility for customers. People don’t feel hesitant spending hundreds of dollars on sterling silver rings because they have the assurance that they’re not being scammed or buying plated silver that can tarnish easily. If you’re going to buy sterling silver online on Etsy, Amazon, or EBay, it’s a high risk considering that anyone can proclaim themselves a genuine sterling silver seller, send you a bogus product, and run away with your money. The best thing to do though, if you have no other option, is to do your research on the seller by looking at their website, contact information, and reviews from people who have purchased sterling silver from them as well. Buying in person at physical stores is the safer option, but it may be hard finding a store that meets all your specifications, as some stores lack the tools to make customized jewelry outside of their own products. It’s best to deal with well-known brands rather than obscure stores you search online. The advantage of buying in person is that some stores may also provide a certificate telling you that you have purchased genuine sterling silver. If you’re on a tight budget and engagement rings with diamonds and other valuable gems are way out of your price range, adding beauty and sentiment to a plain sterling silver engagement ring provides a sentimental token of your love that can withstand the test of time. As a final note, if you’re going to customize the engraving, be sure you have all the order details correctly, as there may not be refunds for custom-made rings. If your partner cares more about the thought than the price tag, they’ll love the thought put into the engraving on the ring you bought them.